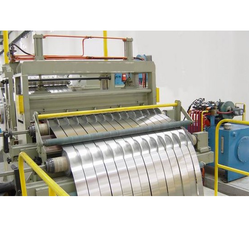 We have established ourselves as a prominent Manufacturer, Exporter, Service Provider and Supplier of a commendable range of Steel, Stainless Steel Tube, Pipe, Rolling Mill Plants and Allied Machinery Parts. Manufactured using superior quality raw material procured from the trusted vendors of the market, these products are extensively used various industries such as chemical industries, Mill Industry, Paper Mills, Piping Industry and Petroleum and Refineries. Owing to their robust construction, excellent performance and superior quality, these products are highly demanded by the customers. 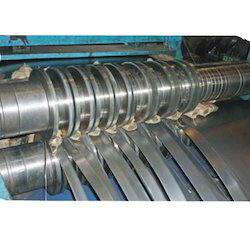 Stainless Steel Tube and Pipe Mills Manufacturer, Solid State high FrequencyInduction Welder or Solid State HF welder or Induction welder manufacturer, Mild Steel High Frequency induction welder and Other Rolling mills Manufacturer in India K.S. Electromech Private limited. K.S. ELECTROMECH PRIVATE LIMITED'S expertise in this domain of Stainless steel tube mill, Stainless steel pipe mill, Stainless steel and pipe mill and mild steel tube and pipe mill have enabled us to offer a qualitative range of Steel Tube and pipe Mills Equipment, Stainless steel tube and pipe mill equipmnt .Stainless steel tube mill, Stainless steel piipe mill, Stainless steel and pipe mill and mild steel tube and pipe mill are manufactured by our experienced professionals using superior forged steel and latest technology, these Stainless steel tube mill, Stainless steel piipe mill, Stainless steel and pipe mill and mild steel tube and pipe mill are mounted in the common steel bed in order to avoid any sort of misalignment. Owing to their excellent performance, robust construction and longer service life, these products are highly demanded by the customers. In addition to this, we provide customization as per the exact specifications laid down by the customers. 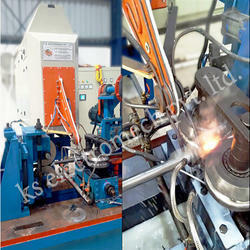 High Frequency induction welding or HF welding or HF induction welding machine’s leading manufacturer in India K.S. ELECTROMECH PRIVATE LIMITED. 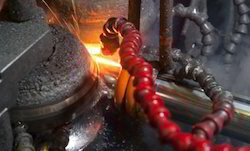 High Frequency Induction Welding or HF Welding or HF induction welding is a form of welding that uses the electromagnetic induction to heat any workpiece. The welding apparatus in High Frequency Induction Welding or HF Welding or HF induction welding machine contains an induction coil that is energized with a radio electric current rapidly. 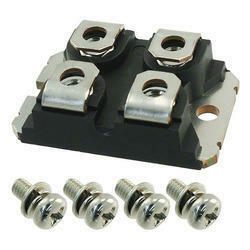 This generates a high-frequency electromagnetic field that acts on either an electrically conductive or a ferromagnetic workpiece. In an electrically conductive workpiece, the main heating effect is resistive heating, which is caused due to induced currents called eddy currents. In a ferromagnetic workpiece, the heating is caused mainly by hysteresis, as the electromagnetic field repeatedly distorts the magnetic domains of the ferromagnetic material. In practice, most materials undergo a combination of these two effects. Ours High Frequency Induction Welding or HF Welding or HF induction welding machine is of supreme quality and long lasting durability. With the steel cabinet and high tendency of micro molecule powder paint coating on it, helps the High Frequency Induction Welding or HF Welding or HF induction welding machine as well as its components to resist the moisture and other dust particles from entering into the chamber. 1. 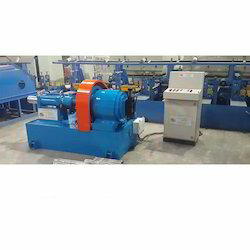 VACUUM TUBE TYPE HIGH FREQUENCY INDUCTION WELDER. 2. 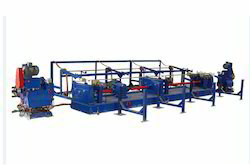 SOLID STATE HIGH FREQUENCY INDUCTION WELDER. 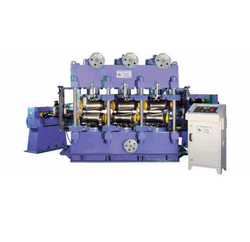 Slitting Machine is mainly used for slitting of raw materials like the Stainless Steel Strips, Steel Coil, Carbon Steel Strips, and Copper Strips. 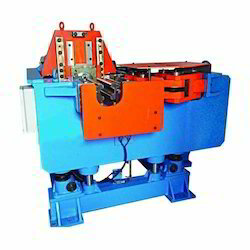 The big coils are into a smaller width coils by setting the slitting cutters on cutter stand, The main equipment’s of slitting machine are un-coiler, coil lifting trolley, Pinch roll unit, leveling unit, slitting stand, scrap winder units , tension roll unit, re-coiler, over arm separator, coil pusher, unloader etc. 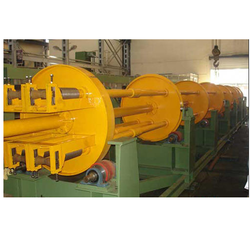 The major components of these lines include De-coiler, Snubber Roll Assembly, Pinch roll, Strip Leveler, Slitting Stand, Re-coiler Unit, Over arm separator, Coil Lifter are made out of tested steel & are of rigid design, Shafts for better finish & longer life. All cylinders used are of high quality heavy duty hydraulic reputed manufacturer & operated by hydraulic power pack with electrical actuator. 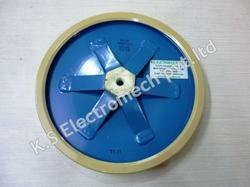 DG/AC motors & drives of reputed make are used as per customer requirement. 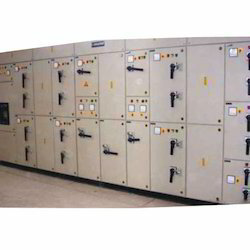 Ours is a reputed entity, indulged in manufacturing of Solid State High Frequency Induction Welder or HF Induction welder or HF welder, supplying Solid State High Frequency Induction Welder or HF Induction welder or HF welder, and exporting a comprehensive range of Solid State High Frequency Induction Welder or HF Induction welder or HF welder and Industrial Machinery Parts. These parts are manufactured using high-quality raw material sourced from the trusted vendors of the market in strict accordance to international quality standards. Owing to their excellent performance, resistance against corrosion and superior quality, these products are highly demanded by the clients. In addition to this, we provide customization as per the exact specifications laid down by the customers. 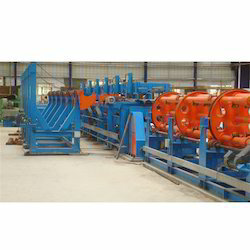 Providing you the best range of hot dip galvanizing machine and steel tube galvanizing lines with effective & timely delivery. We are instrumental in offering services for Steel Tube Mill Projects Consultancy Services to our customers. Highly known for promptness, reliability and cost-effectiveness, these services are provided according to the requirement of the clients. During the execution, we work in sync with the clients to know their exact requirements and make sure to incorporate every single detail provided by them. Customers can avail these services from us at market leading prices. 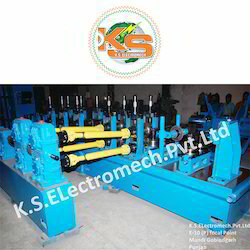 Steel Tube and Pipe Embossing machine manufactured by K.S. Electromech Private Limited. 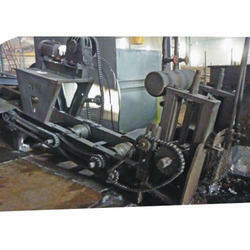 This machine is mainly used to make design on a steel tube or pipe with the help of rotatory actions. This Shows a little demonstration of the product Steel Tube and Pipe Embossing Machine. First the instructions are given to the machine from the control desk. Then the machine automatically sets itself as per the instructions given to the machine. Then the bare pipe/tube is inserted into the machine of the desired length on which the design is to be made. 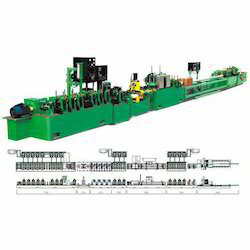 After inserting the bare pipe/tube into the machine, the bare pipe/Tube starts to spin and the machine starts doing its work of creating the design on the bare pipe/tube. 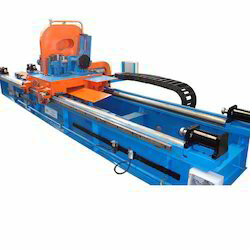 Within seconds the machine creates the design on the pipe/tube and the final product with the designed pipe is manufactured. Contact K.S. 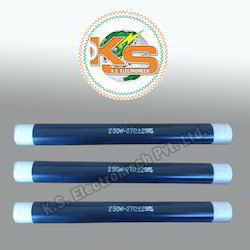 Electromech Private Limited for steel tube and pipe Embossing machine Now. 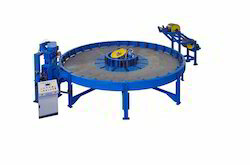 Offering you a complete choice of products which include horizontal strip accumulator. 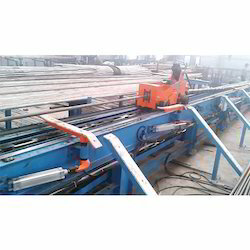 Manufacturer of a wide range of products which include flying cut off cold saw. 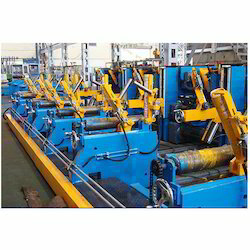 Leading Manufacturer of auto bundling machine from Faridabad. 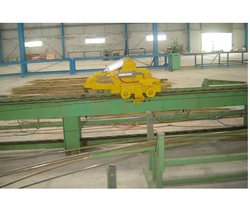 Our product range includes a wide range of tube straightening machine. 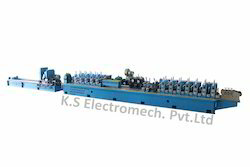 Leading Manufacturer of tube push pointer machine from Faridabad. 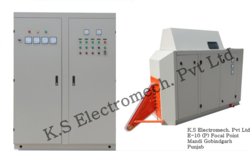 Manufacturer of a wide range of products which include automatic push pointer. 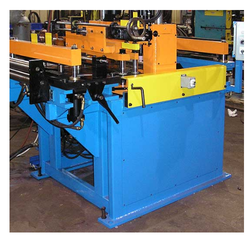 Our range of products include tube draw bench and triple tube draw bench machine. Offering you a complete choice of products which include automatic single tube draw bench machine and automatic multi tube draw bench machine. 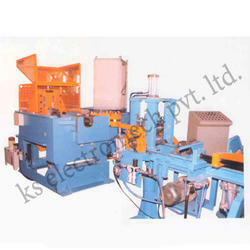 Our range of products include automatic tube threading machine. 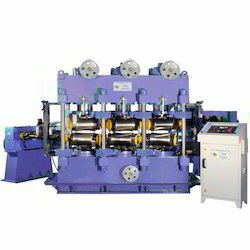 Offering you a complete choice of products which include double tube draw bench machine. 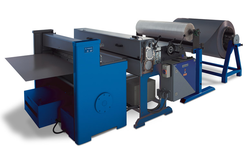 Our product range includes a wide range of automatic double tube type bench machine.